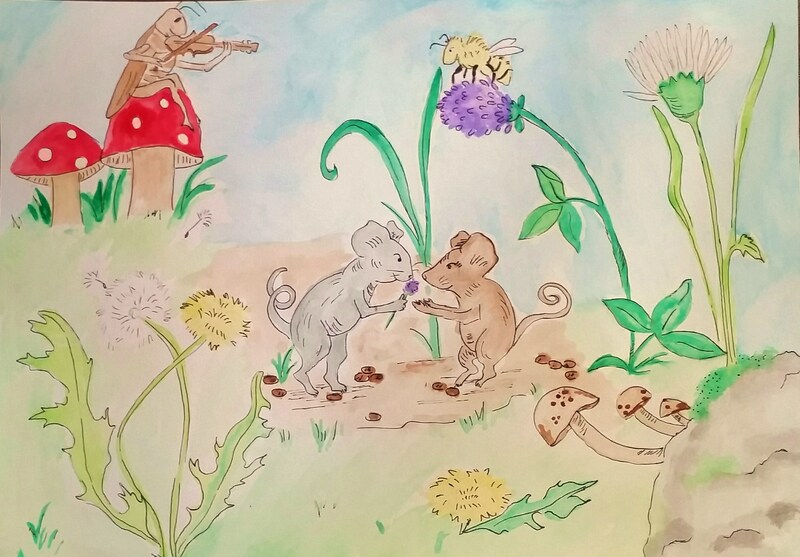 This entry was posted in My Art and tagged grasshopper, mice, Watercolor by M.A. Foxworthy. Bookmark the permalink.